The Ceylon speaks of love and patience. 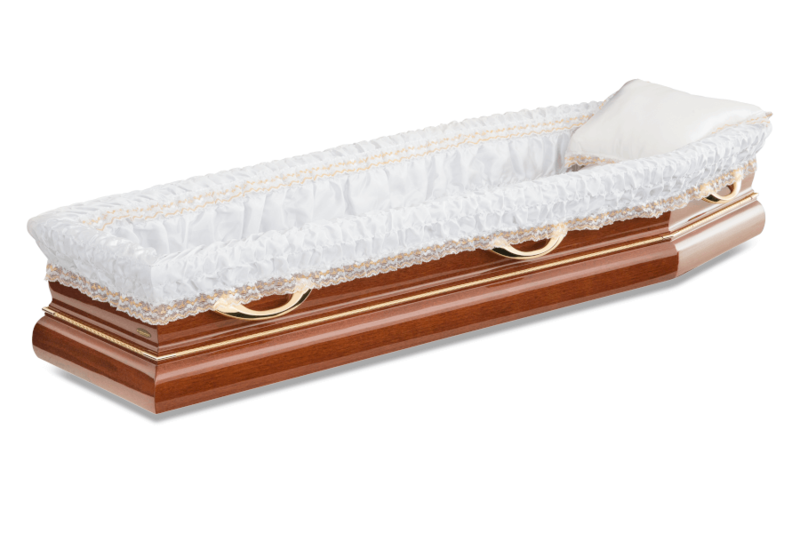 The overall casket is handcrafted to a smooth and curved finish, with carved corners. Bound with solid brass woven cords on the body. 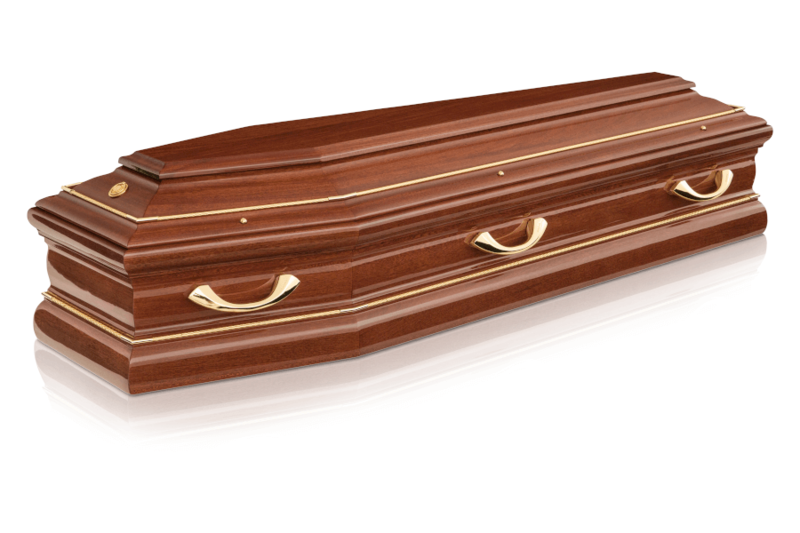 The casket is finished in a high gloss lacquer sheen, giving it the ultimate polished and refined look. The Ceylon is the epitome of long lasting love. This piece is fully trimmed with a bespoke Italian champagne or white satin fabric with gold lace.